The wonderfully inspiring movie starring Tom Hanks and Robin Wright is a visual feast filmed across nine states of the America. Winning six Oscars and nominated for a further seven, this is the highest rated Boovie in the list. 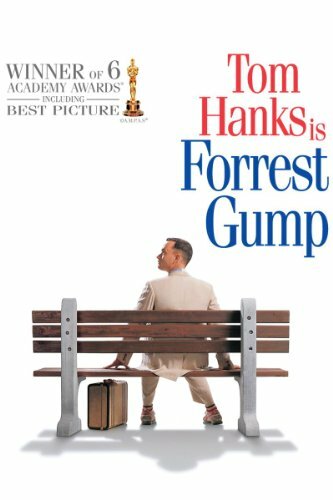 Winston Groom's novel of the same name differs quite significantly from the movie, most notably by not even including Forrest's famous run which provides so much of the wonderful scenic shots, so if you do choose to read the book it just goes to show that life is like a box of chocolates and you never know what you're going to get. 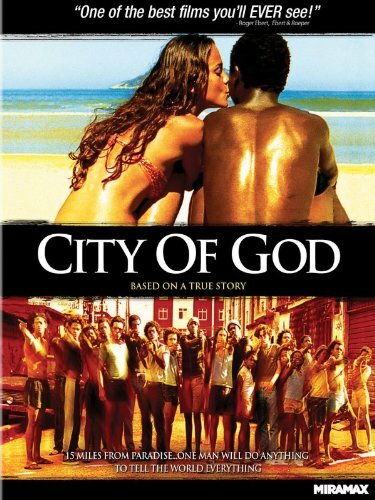 This movie of two boys growing up in distinctly different ways in the favelas of Rio de Janeiro was nominated for four Oscars, including Best Cinematography. This is the best Foreign Language film that I've ever seen and rates in my top 10. 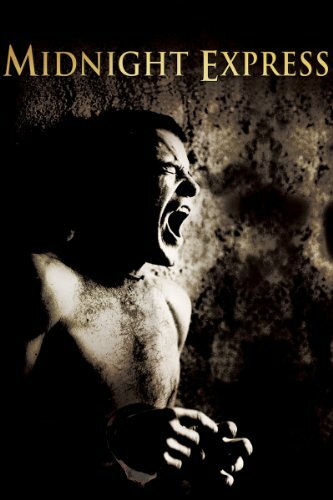 Paulo Lins' novel of the same name, which the movie is based on, is just as violently powerful and told in an entirely realistic and believable fashion. Joe Simpson's classic story of his ill fated attempt scale the west face of Siula Grande in the Peruvian Andes in 1985 has won critical acclaim including winning best British Film in 2004 at the BAFTA Awards. 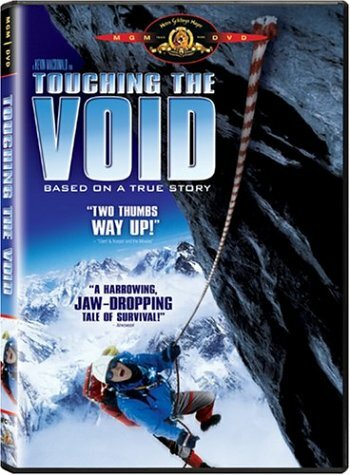 Consistently rated as both one of the best travel-related books and movies, it should come as no surprise that Touching the Void rates so highly on the Boovie list. With a cast of mega movie stars including Leonardo DiCaprio, Tom Hanks, Amy Adams and Christopher Walken, chances were always better than even that the movie was going to be a cracker. Frank Abagnale's autobiography of the same name also doesn't fail to disappoint and is a great read on its own. 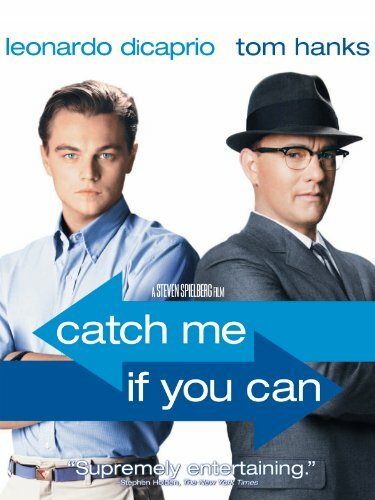 Nominated for two Oscars there will be few people who haven't already seen this movie, but its worth re-watching simply to be reminded of the sheer audacity of Abagnale as he impersonates pilots, doctors, teachers and lawyers to live his high flying lifestyle. 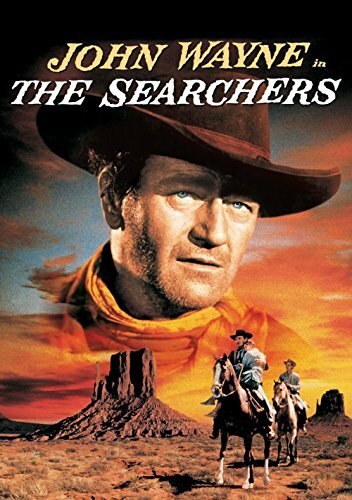 Starring and directed by The Duke, The Searchers is one of the best movies never to have received an Oscar nomination. Set during the Texas-Indian Wars in the 19th century, this is everything you'd ever want from a Western and more. Shot predominantly in Utah and Arizona, and including instantly recognisable vistas such as Monument Valley, this movie is sure to create a yearning to go and explore the region. Expect to shed a tear or two in this film based on the autobiography A Long Way Home by Saroo Brierly. While taking a nap on a train in India 5-year old Saroo is separated from his brother and ends up in Kolkata, 1,500 kms from his home. With no hope of finding his family he is placed in an orphanage before being adopted to Australian parents and many years later embarks on a journey to find his family. Nominated for six Oscars the performances of Dev Patel and Nicole Kidman are sublime, however it is Sunny Pawar who plays the 5-year old Saroo who steals the show and your heart. This powerful film details the experiences of two journalists during the Cambodian Civil War and the resultant atrocities of the Khymer Rouge. The film won three Oscars was nominated for a further four. Based on the biography The Death and Life of Dith Pran by Sydney Schanberg, both the movie and book are highly recommended for anybody interested in this sad piece of Cambodian history. Schanberg was also awarded a Pulitzer prize for his coverage of the Cambodian conflict. 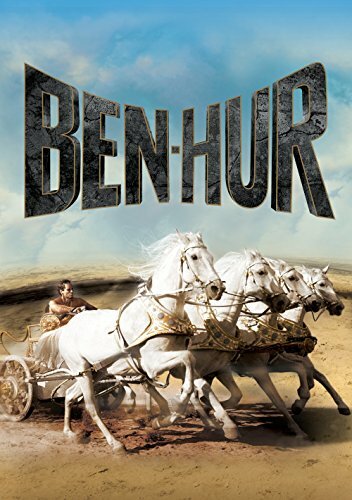 When people say they don't make movies like they used to, generally they're referring to movies like Ben-Hur. Starring Charles Heston, also known for Planet of the Apes, this visual extravaganza won a staggering eleven Oscars. It really was the Lord of the Rings of its day. The movie is based on the book by American general and author Lew Wallace, Ben-Hur: A Tale of the Christ and which was the best selling novel for seventy years after being published in 1880. This whopping 566-pager provides an unparalleled spiritual journey from slavery to vengeance to redemption. Another Ocsar Nominee (for Best Achievement in Music Written for Motion Pictures, Original Score) and also nominated for Golden Globe's Best Foreign Language Film, the 2007 movie of the Khaled Hosseini's novel of the same name is spell binding. Although portraying events in Afghanistan, where the story is set, most of the scenic shots were taken in Kashgar, China due to the obvious locale-associated problems with having your country being torn apart. Be aware there are also some unsettling scenes that will stay with you for awhile. I haven't read or seen the movie but this is considered an all-time classic. The 1965 film version stars Omar Sharif and Julie Christie, won five Oscar's and was nominated for a further five, including Best Picture. Keira Knightley and Sam Neill star in a more recent mini-series (2002), on the unlikely off chance that this appeals more. Boris Pasternak's novel translated from Russian, is a whopper and usually pretty cheap on the Kindle so I'll have to mark it down as one to read in the future. Winning three Oscars with four further nominations, the theme music is instantly recognisable and worth watching the movie alone for. For a piece of one-upmanship, also check out the version in Guy Richie's Lock, Stock and Two Smoking Barrels - pure gold. 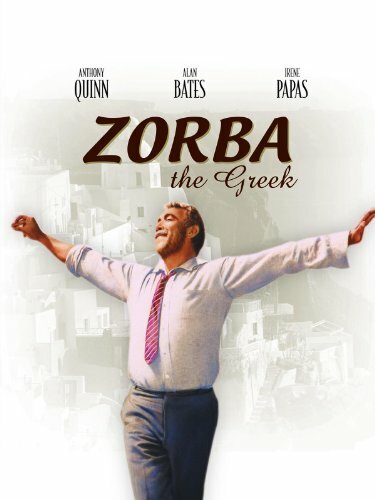 This British-Greek comedy drama starring Anthony Quinn, who incidentally also starred in another all-time classic, Lawrence of Arabia, and Alan Bates is definitely one to watch. Set in German East Africa, comprising modern day Rwanda, Burundi and Tanzania, The African Queen is an adventure/romance classic set during World War 1, about a boat used to attack an enemy warship. Starring Humphrey Bogart who won the film's (and coincidentally his own) only Oscar for Best Actor, and Katherine Hepburn, who was Oscar nominated for Best Actress, this is wonderful rendition of C.S. Forester's novel of the same name. 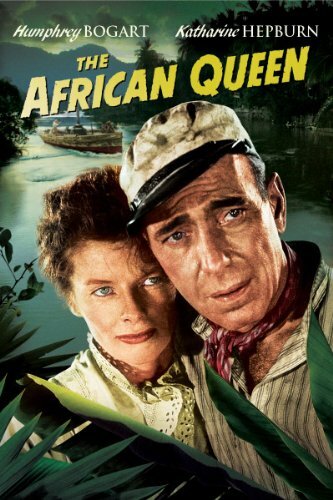 If you're looking for the locations where The African Queen was filmed, you've have to do some roughing it as most of it was shot in Uganda and the Democratic Republic of Congo. Into the Wild is pure gold. 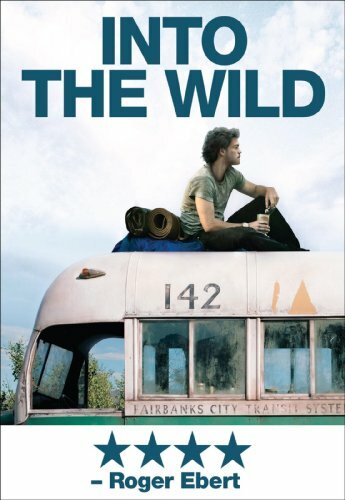 Directed and Produced by Sean Penn who also wrote the screenplay for the movie of Jon Krakaeur's book, Into the Wild is damned fine viewing with a killer soundtrack from Eddie Vedder which won a Golden Globe for Best Original Song (Guaranteed). The movie differs a bit from the book which gives you another reason to "do" both, in case you ever needed one. Given I own the movie, book and soundtrack it should come as no surprise that this is one of my all time favourite Booovies. Eight Oscar wins and two further nominations - need I say any more? 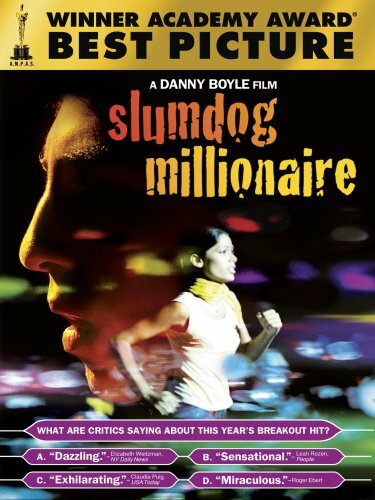 Filmed in India as a loose adaptation of Vikas Swarap's novel Q and A, the cinematography is mind blowing as evidenced by the Oscar win in this category. 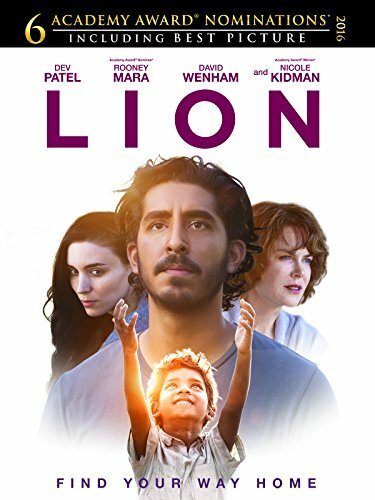 Starring the brilliant Dev Patel, who is the owner Actor/Actress to appear three times in our Boovie list, this is a wonderful feel good movie that's guaranteed to satisfy. Based on Bryce Courtenay's novel, which is the highest rated book on the Boovie list, The Power of One tells the story of young English boy growing up in a predominantly Afrikaans area of South Africa during the 1930's and 40's. 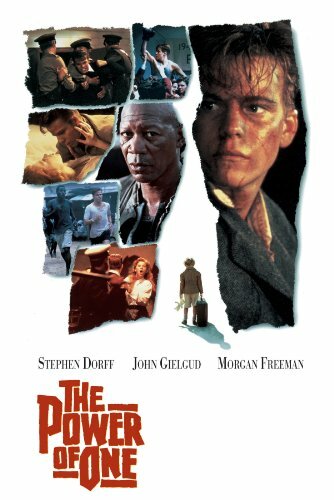 Dealing with some of the themes of Apartheid during the time, this is, however, an uplifting story starring Stephen Dorff and Morgan Freeman as Dorff's boxing trainer and mentor. Whilst the book is a much superior offering there is plenty in the movie to keep you glued and inspire. 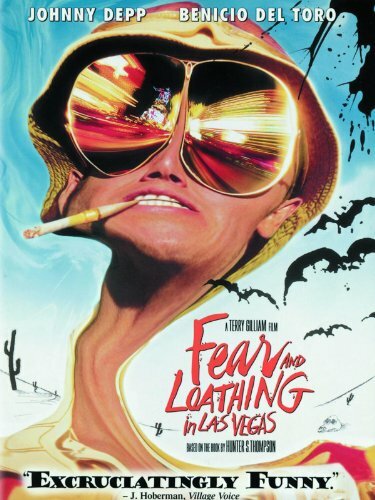 A great R-rated American road-trip adaptation of Hunter S. Thompson's classic novel. Starring Johnny Depp, Benecio Del and Spider-Man, I mean Tobey Maguire, this drug-fuelled, gonzo induced trip won't appeal to all and in fact is considered something of a box office failure. However, with a redeeming soundtrack based on psychedelic and classic rock, it is very much unlike anything else on the Boovie list and worth a watch. 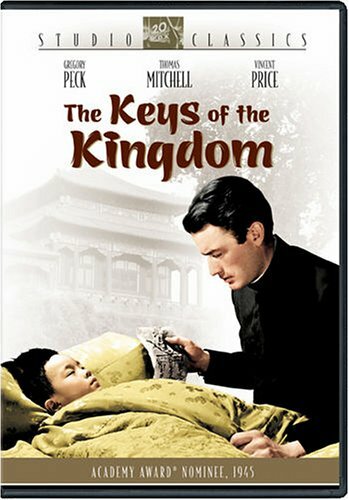 The Keys to the Kingdom is another multi-Oscar Award nominee movie, picking up four nominations including Best Actor in a Leading Role for Gregory Peck who plays a young priest, that is sent to China to establish a Catholic parish among the non-Christian Chinese. Spanning six decades A.J. Cronin's novel of the same name is monster of a book and sure to appeal to those who love historical fiction. Leonardo diCaprio second offering in the Boovie list saw him pick up a Best Actor Oscar and the movie a further two Oscars and five nominations. Set in the upper Missouri River area during the early 19th century, the story is one of survival and vengeance in the wild frontier lands of the Arikara Indians. Shot across three countries, Canada, the United States and Argentina, against the backdrop of a beautiful and harsh wilderness, this is a violent movie which is inspired by a true life story and based in part on Michael Punke's novel of the same name. 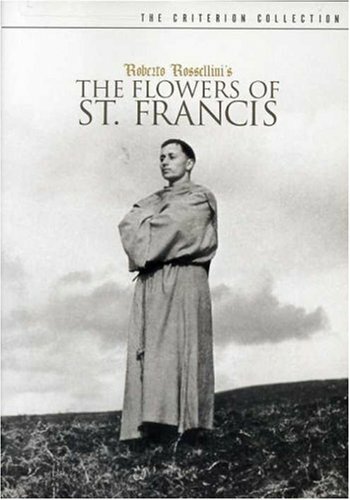 This film is based on two books, the 14th-century novel The Little Flowers of St. Francis and The Life of Brother Juniper, both of which relate the life and work of Saint Francis of Assissi and the early Franciscans. A Boovie about life and humanity in the Italian countryside between Rome and Bracciano, this is beautifully shot in black and white and a pleasure to view. 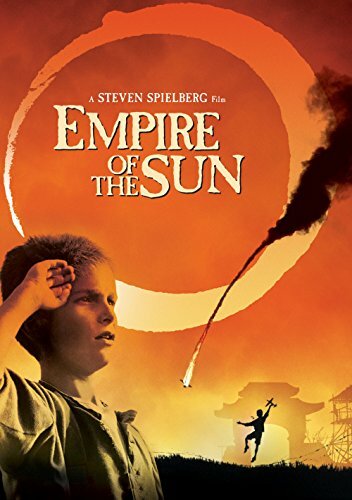 Directed by Stephen Spielberg, Empire of the Sun was nominated for six Oscars and stars John Malkovich and a young Christian Bale and is a great visual feast. Adapted from J.G. Ballard's novel, which was shortlisted for the Man Booker Prize, it tells the story of a young English boy's sudden life upheaval after the Japanese invade Shanghai in 1941 and draws extensively on the author's own experiences in World War 2. Despite not having seen the movie in the past 10 years, I can still vividly recall Midnight Express's opening scene as Billy Hayes attempts to smuggle drugs into Turkey. Picking up two Oscars including one Oliver Stone's Best Writing, Screenplay Based on Material from Another Medium, the movie has some harrowing moments and is recommended viewing for anyone contemplating getting into the drug-running business. There are a number of differences between Billy Hayes autobiography and the movie which I wasn't aware of until researching, which has me putting the book very much in my must read pile. 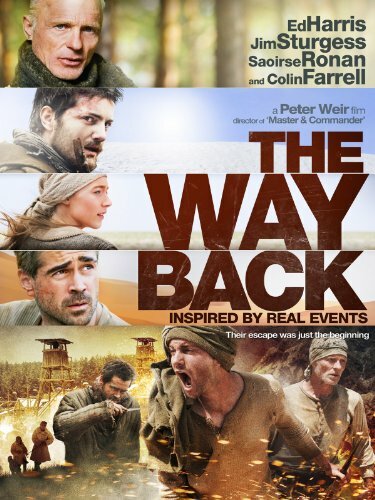 The Way Back is a great survivalist movie starring well known actors Ed Harris and Colin Farrell. 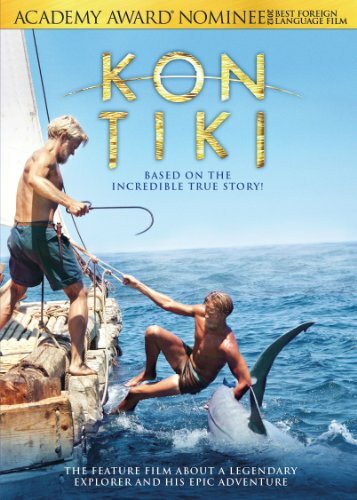 Some of you might also recognise Gustaf Skarsgard who plays Floki out of the popular History Channel series Vikings and who also appears in another top-rated Booovie, Kon-Tiki. 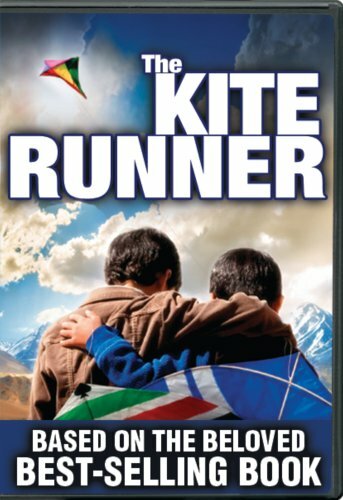 Loosely based on the book The Long Walk by former Polish prisoner of war Slawomir Rawicz, the story details a group of prisoners as they escape from a Siberian Gulag to walk 6,500 kms in search of freedom in Nepal. Whilst its authenticity has been questioned, the movie still provides some beautiful scenery and is compelling viewing. 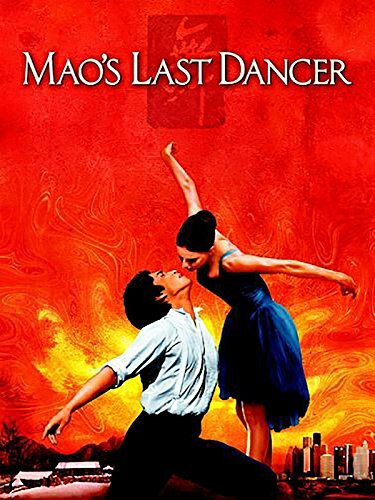 Based on the autobiography by Li Cunxin, Mao's Last Dancer focuses on the life of a young boy growing up in China who undertakes ballet training at Madame Mao's Dance Academy. While the movie might not as well known as the outside of Australia and New Zealand, as the more popular book, it still is an enjoyable watch. Starring Brad Pitt in his prime, Craig Sheffer and Tom Skerrett and Directed by Robert Redford, A River Runs Through It is the story about growing up in rural Montana from World War 1, through the Great Depression all spun around their passion for fly fishing. With an Oscar win for Best Cinematography there's plenty of picturesque shots of south central Montana and on the nearby Yellowstone, Gallitin and Boulder Rivers. 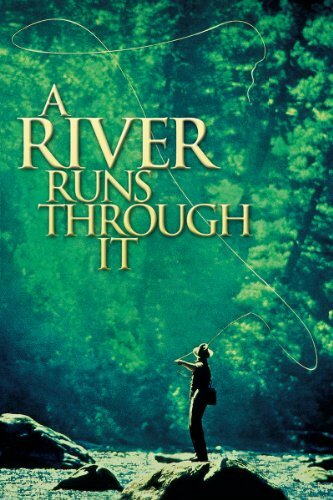 Based on the semi-autobiographical collection of three stories called A River Runs Through It and Other Stories by Norman Maclean this one will most definitely appeal to those with a love of fishing and nature. 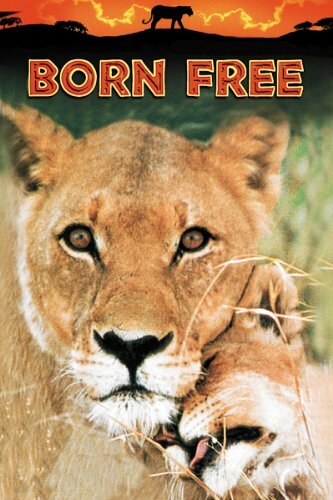 Based on Joy Adamson's true story about a couple who raise Elsa the lioness to adulthood before setting her free in the Kenyan wilderness, this is a much adored story for all animal lovers. A winner of two music-related Oscars, starring Virginia McKenna and Bill Travers (who actually where married in real life), this is a feel good movie that will have you reaching for your khakis and booking your safari in no time. A story that takes place over four days on a train journey from Istanbul to Europe, this Agatha Christie classic is one of the older books on the Booovie list. Don't try and make too much sense of where the story actually takes place as it resembles a geographical Rubik's cube, but like all good train trips its the actual the journey that is the important travel piece here. The 1974 movie version stars the delightful Ingrid Bergman who picked up an Oscar for Best Acress in a Supporting Role and Laura Bacall. Oh yeah, Albert Finney helped out too as Hercule Poirot but he's less noticeable than the other two for some reason. Fans of the story will be super excited to know that there's a remake scheduled for 2017 starring Johnny Depp, Daisy Ridley, Michelle Pfeiffer, Penelope Cruz, Willem Dafoe and Judi Dench. Here's hoping they do it justice. 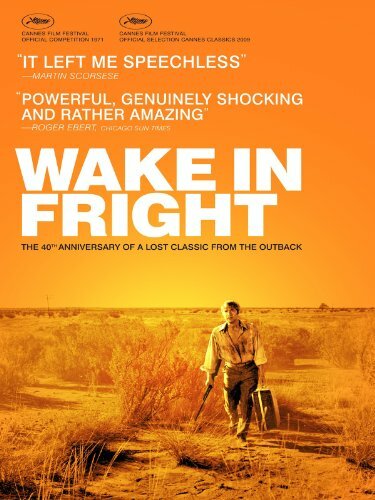 Another little known movie, and book for that matter, outside of Australia, Wake in Fright shows some harsh realities set against the backdrop of the Australian outback. 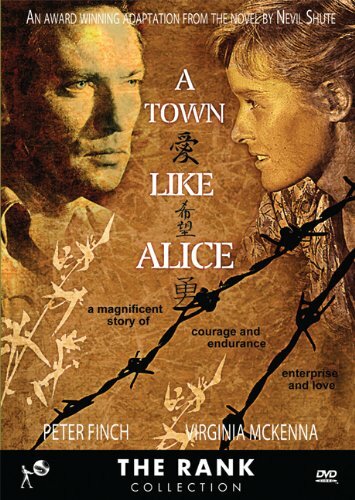 Filmed mostly in the mining town of Broken Hill, where scenes were also short for a Town Like Alice, this is a hard hitting film of Kenneth Cook's novel of the same name. Critically renowned this is an unsettling story that may not appeal to all. A double Oscar Award winning movie with a further eight nominations, this movie starring Russell Crowe was huge. It undoubtedly would have won more had it not had the misfortune of coming against Lord of the Rings: The Return of the King. 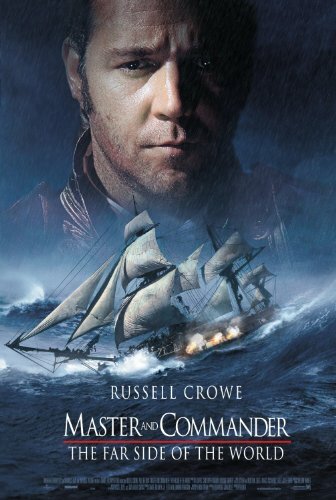 Set during the Napoelenic Wars in the early 19th century, the film is adapted from three novels in Patrick O'Brian's Aubrey-Maturin series and is a an action-packed sea adventure in and around the South American waters. Anybody who has been to Kyoto and gone "Geisha spotting" in the famous Gion district will love both renditions of this Booovie. A winner of three Oscars with three extra nominations thrown in for good measure, the movie was a box office smash. 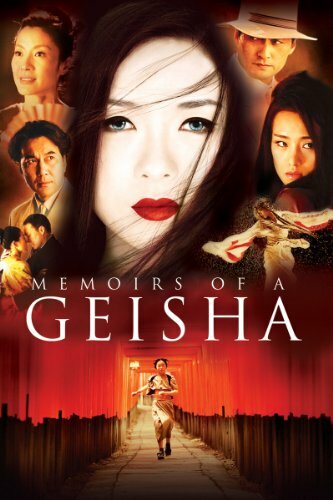 Following the fictional life of a geisha before and after World War 2, Arthur Golden's novel of the same novel courted controversy when he was sued for breach of contract and defamation of character by a retired geisha whom he used for background context due to not protecting her anonymity as requested. All that aside, Golden and the movie both definitely delivered and are well worth checking out. Brokeback Mountain is another controversial movie at the time that also picked up three Oscars but this time with a further five nominations. When Ang Lee picked up the Oscar for Best Director it was also the first time an Asian had won this Award. Starring the late Heath Ledger and Jake Gyllenhaal, this romantic story based on Annie Proulx's book about two homosexual modern-day cowboys, features some simply amazing scenery. Whilst the story is located in Wyoming, shooting actually took place in the Rocky Mountains in Alberta, Canada. 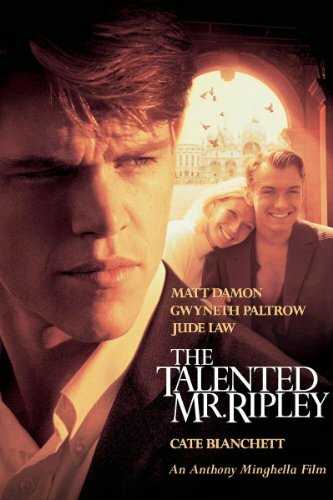 Supposedly (well it was stated on Wikipedia so must be true), when Matt Damon was asked whether he wanted to play the role of Ennis, he replied that "I did a gay movie (The Talented Mr Ripley, another Booovie coming up), then a comboy movie (All the Pretty Horses). I can't follow it up with a gay-cowboy movie!". Thankfully due to the Heath Ledger's brilliant performance, it didn't matter. Any movie starring Daniel Day-Lewis is bound to be noteworthy. 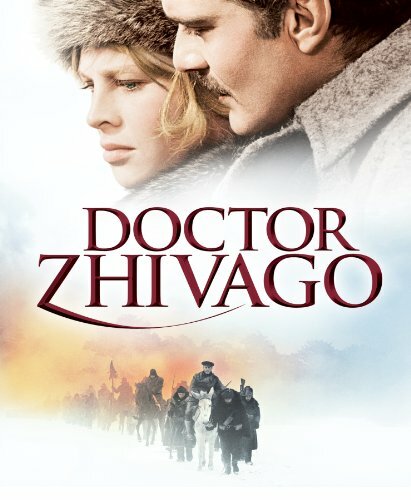 And this double Oscar Award nominated movie co-starring the equally fabulous Juliette Binoche is no exception, delivering a beautiful movie that is set in Prague in 1968 before the imminent Warsaw Pact (USSR, Poland, Bulgaria and Hungary) invasion of Czechoslavakia. The book by Milan Kundera (and translated from Czech) is also based in Prague during the late 1960's and early 1970's and is described as philosophical fiction. The author has stated that the movie had very little to do with the spirit either of the novel or the characters in it and subsequently refused to allow any adaptations of his work. I guess, that means that you'll need to watch and read both to see whether this is true! 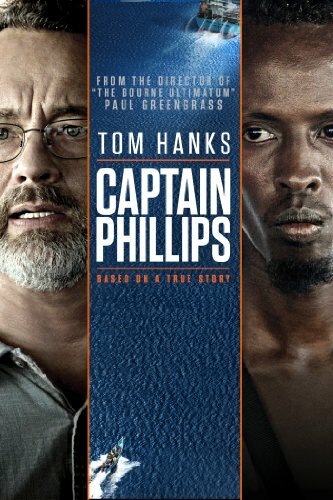 Tom Hanks makes another appearance in the Booovie list, this time starring in the true to life story of the hijacking of an unarmed container ship by Somali pirates in the Indian Ocean. Nominated for six Oscars, including Best Motion Picture and based on Richard Phillips book called A Captain's Duty: Somali Pirates, Navy SEALs, and Dangerous Days at Sea, this is another Booovie on my gotta watch/read soon list. This three hour plus well known masterpiece directed by Stanley Kubrick and starring Kirk Douglas and Laurence Olivier tells the story of a slave revolt against their Roman masters. 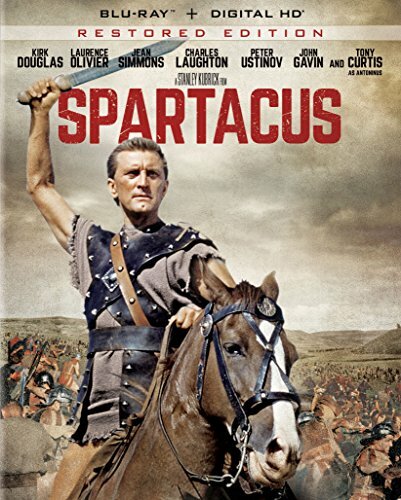 Scoring four Oscars, including Best Cinematography, Spartacus was shot mostly in Hollywood, with the battle sequences filmed in Spain. Howard Fast's lesser well known novel is about the real life historic slave revolt led by Spartacus in and around 71-73 BC. 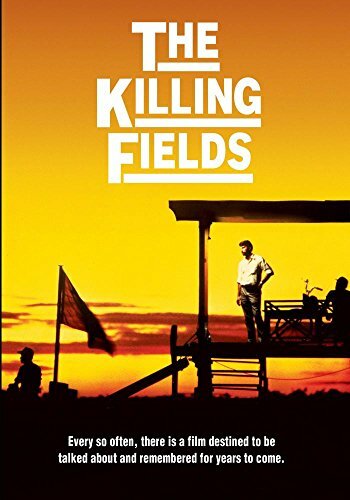 Filmed partially in Malaya and Australia, predominantly in the town of Alice Springs, this is a tale of love and war that in beautifully shot in black and white. Winning two BAFTA Awards and casting Virginia McKenna, who also starred in Born Free, and Peter Finch this is a real gem of a movie. Based on Nevil Shute's historical novel that provides a great insight into the regions and times in and around World War 2. The book was also translated into a mini-series in 1982 which due to its allowable length probably does the novel more justice and also is worth watching. This river-rafting trip through the American hillbilly back-country isn't something you'll forget in a hurry. 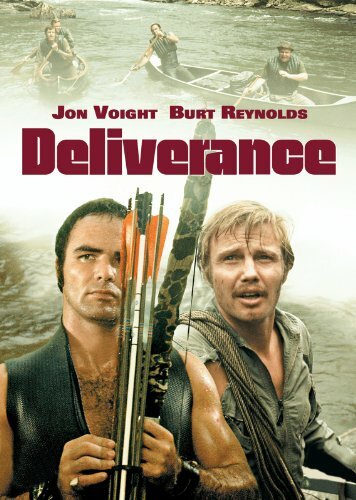 Nominated for three Oscars and featuring Jon Voight and Burt Reynolds there are some very uncomfortable scenes that made this R-rated on its release. Most people will recognise the Duelling Banjos scene and music that is an all-time classic and will also be amazed by scenery which was shot primarily in northeastern Georgia and the Tallulah Gorge and on the Chattooga River which divides Georgia from South Carolina. Based on James Dickey novel, this movie will have you squealing for joy. 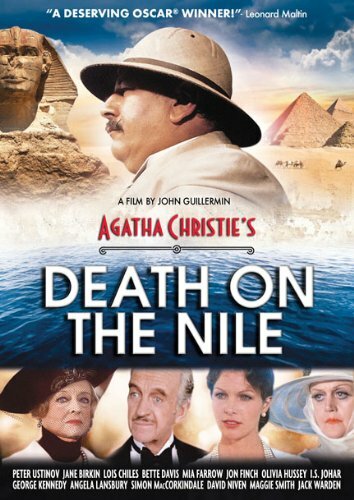 The Nile River is the perfect backdrop for this Hercule Poirot crime novel by Agatha Christie. 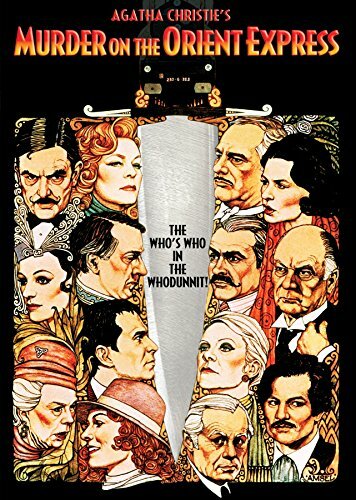 The movie version starring Peter Ustinov and Mia Farrow won an Oscar and the book was also adapted for the 2004 TV series Agatha Christie's Poirot. With fabulous cultural icons including the Great Pyramids, the Sphinx and the amazing temples at Abu Simbel and Karnak, this film gives you a multitude of reasons to explore the majesty of Egypt. 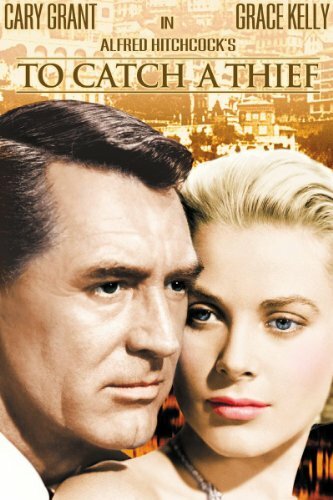 A romantic thriller directed by Alfred Hitchcock, To Catch a Thief is a great vehicle to showcase The French Riviera. With a star studded cast including Cary Grant and Grace Kelley and a Oscar for Best Cinematography, this movie will have you yearning for the sparkling Mediterranean in a bygone era. Frank F. Dodge's novel of a former jewel thief, formerly known as The Cat might be dated, but its a great thief story that mixes equal parts intrigue, excitement and glamour and is sure to entertain. Filmed in Burma (Myanmar) and Japan, this movie and novel tells the story of Japanese soldiers who fought in the Burma Campaign during World War 2. With its central Buddhist theme and picturesque Burmese village scenes, there's plenty to inspire anyone to travel to this beautiful region. 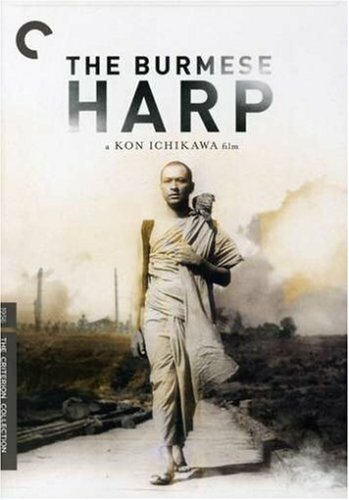 Michio Takeyama wrote the short novel, Harp of Burma, from which the 1956 movie was adapted and a further remake by the same director, this time in colour was also made in 1985. Detailing Thor Heyerdal's epic 8,000 km crossing of the Pacific on a balsawood raft from South America to the Tuamotu Islands, this superbly crafted movie is guaranteed to provide wanderlust for explorative journeys of your own. Although you might want to give some better thought to mode of transport. Thor Heyerdal's travel adventure classic is a captivating story self belief and of a man who refused to give up no matter the cost. Definitely a book designed to help you follow your dreams. 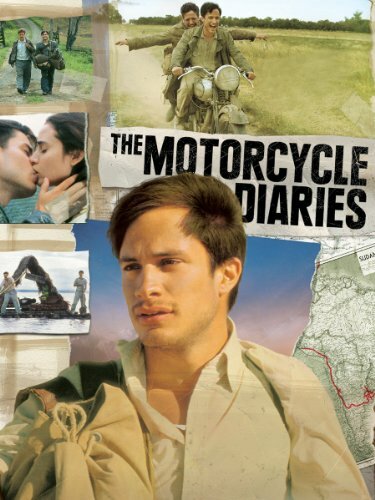 A biopic movie detailing Che Guevara and his friend, Alberto Grenado's, motorcycle journey across South America. Another perennial favourite among travelers, the movie stars Gael Garcia Bernal as Ernesto Guevera, who has also starred in a range of other brilliant movies such as Amores Perros, Y Tu Mama Tambien and Babel, all of which are must watches. Whether or not Guevara's coming-of-age memoirs were intended to be published, the detailing of their nine-month 8,000 km journey across the Andes, Atacama Desert and Amazon by motorcycle, steamship, raft, horse, bus, and hitchhiking are an interesting insight into the life of the man who became one of the planet's most famously recognisable figures. 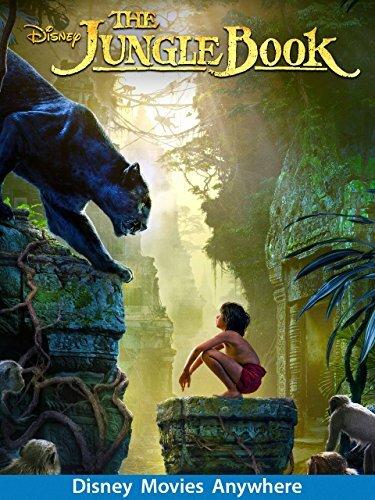 OK, I've cheated a bit here, as The Jungle Book probably should be classed as fantasy, but given its tight connection to India, I felt compelled to include this in the Boovie list. Starring the irrepressible Neel Sithi and voice talents of Bill Murray, Ben Kingsley, Scarlett Johannson and Christopher Walken, this man-cub journey of self discovery is a pure delight. It is Rudyard Kipling's collection of stories based on his time in India, however, that truly evokes the imagery of steaming jungles that makes this such a rich offering. And it is made even more poignant given there is evidence that Kipling wrote the collection of stories for his daughter Josephine, who died from pneumonia in 1899, aged six. Guaranteed to inspire both the young and young-at-heart, The Jungle Book is required viewing for all. Another Stanley Kubrick offering, which won four Oscars and was nominated for a further three, this movie is considered a masterpiece period drama and rates as one of Kubrick's best films. Set in Ireland, England and Prussia during the Seven Years' War of the mid-18th century, there are more shots of castles, palaces and noble houses to keep even the most castle-hungry traveler satiated. 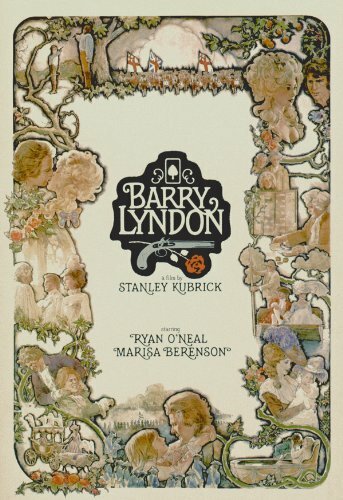 William Makepeace Thackeray's The Luck of Barry Lyndon, on which the movie is based, presents the same great Victorian adventure tale of a an Irish rogue, looker to better himself, but is told in a lighter fashion than the movie and will appeal to those looking for some additional historical subtext to this era that the movies medium isn't able to deliver. 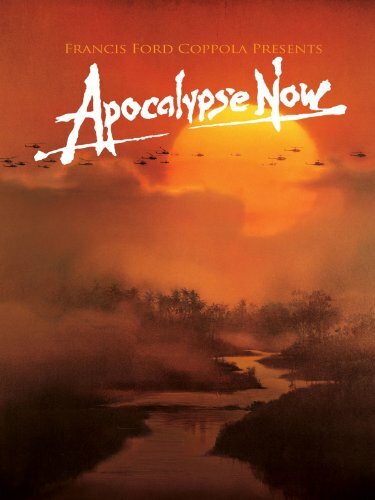 Apocalypse Now is a real trip and adapts Joseph's Conrad's Heart of Darkness from the late 1800's Congo to the Vietnam War. Two Oscar wins and six nominations and plagued with problems throughout its making, the story of Martin Sheen's Captain Benjamin L. Willard mission to assassinate Colonel Kurtz played by Marlon Brando will be well known by most. For me, however, it is Robert Duvall who steals the show with his portrayal of Lieutenant Colonel Bill Kilgore. Any number of his legion of quotes are memorable, such as "What the hell do you know about surfing, Major? You're from goddamned New Jersey!" and "I love the smell of napalm in the morning". The helicopter attack scene to be backdrop of the Ride of the Valkyries, also has to be one of the best scenes ever. Reaching out to you with its insanity and superb cinematography, movies don't get any better than this. 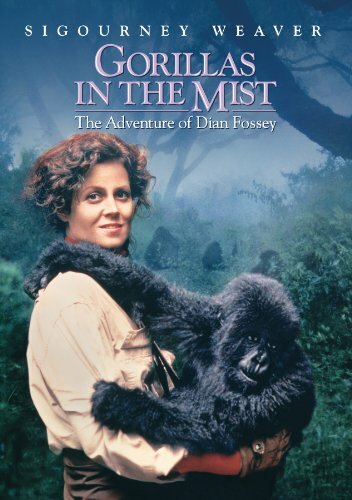 Starring Sigourney Weaver and Bryan Brown, Gorillas in the Mist tells the true story of Dian Fossey's seminal work with mountain gorillas. Picking up five Oscar nominations, the movie was shot mostly in Rwanda and provides some stunning location shots, as well as remarkable footage of the gorillas themselves that will have you signing up for gorilla trekking in Uganda, Rwanda or Congo yourself. Given Dian Fossey's ability to court controversy right up to and including her untimely death, reading her own personal story and and scientific study of the gorillas will appeal to anyone looking for further information into her unparalleled contribution as a primatologist. As a New Zealander myself, and given I precluded the Lord of the Rings from inclusion in the Boovie list, this is a film dear to my heart. Starring Keisha Castle-Hughes, who picked up an Oscar nomination, the film explores modern cultural values as young Maori girl strives to become chief of her tribe. 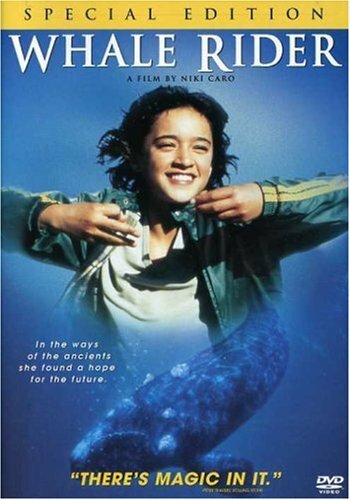 Set in the small community of Whangara located between Gisborne and Tolaga Bay in the east of the North Island, this is a lovely story that positively portrays Maori tribal traditions whilst also linking back to some of this planet's most magnificent animals. Witi Ihimaera's book of the same name, is told through Uncle Rawiri's perspective, rather than Paikea's and also encompasses his time in Papua New Guinea, which definitely gives it a different flavour but in no way reduces the quality. Filmed on the islands of Procida and Salina this beautifully rendered movie won one Oscar, in addition to be nominated for four more. Telling the story of a Chilean poet who is exiled to an Italian island for his political views and who befriends a semi-literate local postman, this is a charming story set amongst gorgeous Mediterranean locations. Interestingly, Antonio Skarmeta's novel is set in Chile, rather than Italy. Tragically, Massimo Troisi who co-wrote the screenplay and starred in the movie postponed heart surgery to complete the film and died the day after filming was completed from a heart attack. 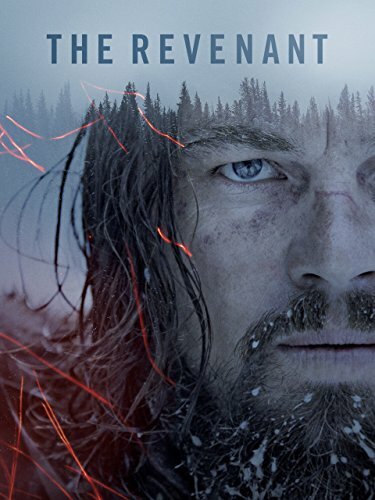 A gripping survivalist story of a young man who becomes trapped whilst canyoneering in Utah, which was nominated for six Oscars and Directed by Danny Boyle, who also directed another Boovie Slumdog Millionaire. 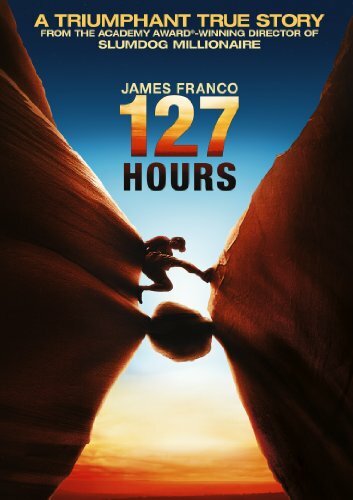 Although this is as likely to put you off travelling as inspire it, the sheer will to live and lengths Aron Ralston goes to is simply astounding. Filmed at the real location of Blue John Canyon the beauty of the surrounds, however, is bound to make you consider whether canyoneering is your next hobby. Just in somewhere less remote and with some company. Ralston's autobiography, Between a Rock and a Hard Place, whilst focusing mostly on his experience in Blue John Canyon, is a more comprehensive read of his life and worth reading. Helen Bonham Carter, Maggie Smith and Julian Sands star in this triple Oscar winning romance. 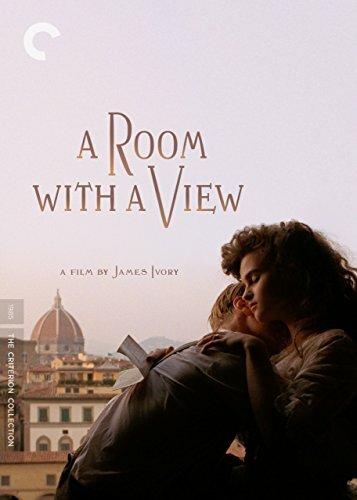 Set in Florence and southeast England (Kent and London), visually this film is gorgeous and with great supporting roles Judi Dench and Daniel Day Lewis there's more to view than your standard romance film. E. M. Forster's novel of the same name, written in 1908 is on Modern Library's 100 Best English-language novels and a good critique of English society at the beginning of the 20th century that will rekindle your desire to holiday in the beautiful city of Florence - with obligatory views over the River Arno, of course. 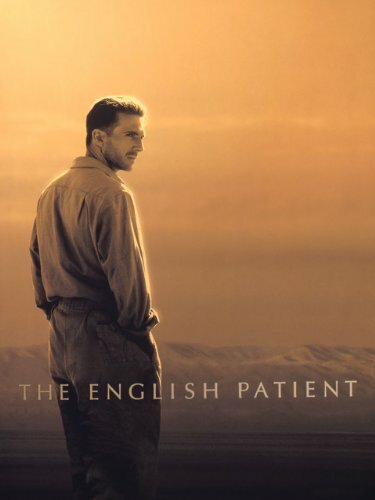 Based on the movie version alone (as I haven't read the book), in my opinion, The English Patient should rank much higher. It's impossible not to be sucked into the exotic setting of the souqs and deserts, which is juxtaposed against the beautiful Italian countryside and villa. No surprise then that the movie starring Ralph Fiennes, Juliette Binoche and Kristen Scott won nine Oscars. The movie doesn't follow Michael Ondaatje's Booker Prize-winning novel, which is good reason to try it out, but I prefer, in this instance, to remain faithful to the movie and have resisted to date. My resistance to revisit Egypt though, is less certain, even if most of the film was shot in Tunisia. Superbly cast with Matt Damon, Gwyneth Paltrow, Cate Blanchett, Jude Law and the sorely missed Philip Seymour Hoffman, The Talented Mr. Ripley is another film that delights partly due to the beauty of Italy, in this instance the islands of Ischia, and Procida and cities of Rome and Venice. A superb thriller, the movie was nominated for five Oscars. Patricia Highsmith's 1956 novel of the same name won the Grand Prix de Litterature Policiere for best international crime novel and is the first of five novels she wrote about Tom Ripley, which collectively go by the name the Ripliad. Both the book and movie provide further evidence on why a (re)visit to Italy is warranted, even if not all of us are millionaire playboys. Click the button below to leave or view comments.